Every traveler with major wanderlust knows that there will always be something new to explore even in popular travel destinations. All it takes is creativity and a bit of research to plan for the most memorable trips. Here, we have seven breathtaking places you might want to consider for your next getaway. While the world is abundant with miniature replicas of Gustave Eiffel’s most popular work in the heart of Paris, Prague boasts of its own iconic tower on Petrin Hill. The tower is best visited in the springtime, when rows of cherry blossoms are in full bloom. The Petrin Observation Tower will take you 295 steps to reach the peak, which offers panoramic views of the gardens and the city. Statues commemorating the victims of communism stand on the base of the hill. Ireland’s many round towers are a testament to the belief that fairy tales mimic real-life. Although the Grimm Brothers hailed from Germany, these round towers seem to be the inspiration for Rapunzel’s solemn fortress. There are over 50 towers scattered on the lush fields of Ireland, which range from 17 to 40 meters high. The entrances to these towers are about two to three meters above the ground, and many believe they were used for defensive purposes. What first appears to be an oversized cubic structure is actually a library tucked away in one of Nice’s busy intersections. The monument, aptly called “Thinking Inside the Box,” houses three floors of books. It was designed by a French sculptor named Sacha Sosno. Unusual but transfixing, the spectacular House of Chimeras is a private house decorated with animal sculptures. The architect, Vladislav Gorodezkhii, undoubtedly gets his inspiration from taxidermy and his passion for hunting. Visitors come for the remarkable stone structures and stay for the rare tour. 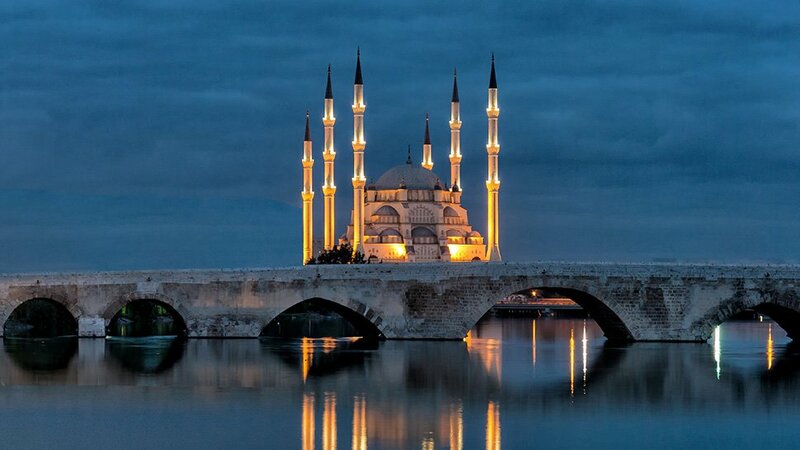 Best visited at night, this 310-meter bridge is immaculately lit by the Sabanci Mosque behind it. One of the oldest bridges in history, this stone bridge overlooking the Seyhan River played an important role in the city’s history, creating a link between trade routes. At the summit of the scenic Vodno mountain range, the Millennium Cross awaits its visitors, who arrive via cable car. This 66-meter tall structure is one of the city’s main distinguishing points and is visible at night, especially once it’s lit. An elevator was installed inside less than a decade ago, while a restaurant was erected beside it. In the heart of Sarajevo, this oriental bazaar is where you least expect it. The well-preserved Balkan architecture draws crowds in, but the dedicated craftsmen and their unique wares sustain this historical town. To take a break from souvenir shopping, visitors may admire the architecture of the city hall, synagogue, and clock tower close by. While most of these destinations may be under the radar, Qatar Airways offers frequent flights to these must-visit spots and many other exciting destinations. To book your next adventure and browse through other breathtaking destinations, click here. To learn more about their professional chauffeur service for seamless, door-to-door airport transfers in all of their major destinations worldwide, click here.